As I am deciding how to organise my poetry manuscript on ‘growing and gathering’ local foods, I am considering the themes of the various poems. I think these themes will become the sections in my manuscript. One of the first themes to emerge, perhaps the easiest to examine, is about ‘relationships’. Although I have often picked berries alone, my best memories are of picking berries with members of my family. Both my Mom and Dad loved to pick berries. My Dad was a fast picker and I was always in silent competition with him to pick the most berries… I never won. My Mom picked berries quickly, but took the time to enjoy the fresh air, the blue sky and the expanse of the berry field. When I think of picking berries with her, I feel calm and a little lazy. My relationship with my mother-in-law was also shaped by our many berry-picking experiences; when I pick raspberries, I hear her quiet laughter in the breeze. As I write poetry for my ‘growing and gathering’ manuscript, I have explored my relationships with the various people in my life. 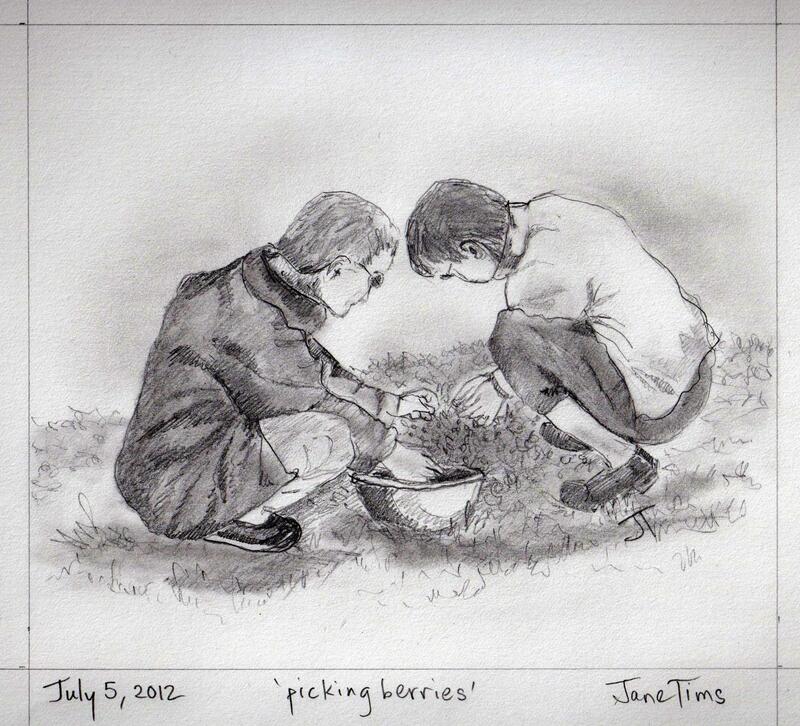 Some of these are based on real experiences I have had picking berries or gathering greens. 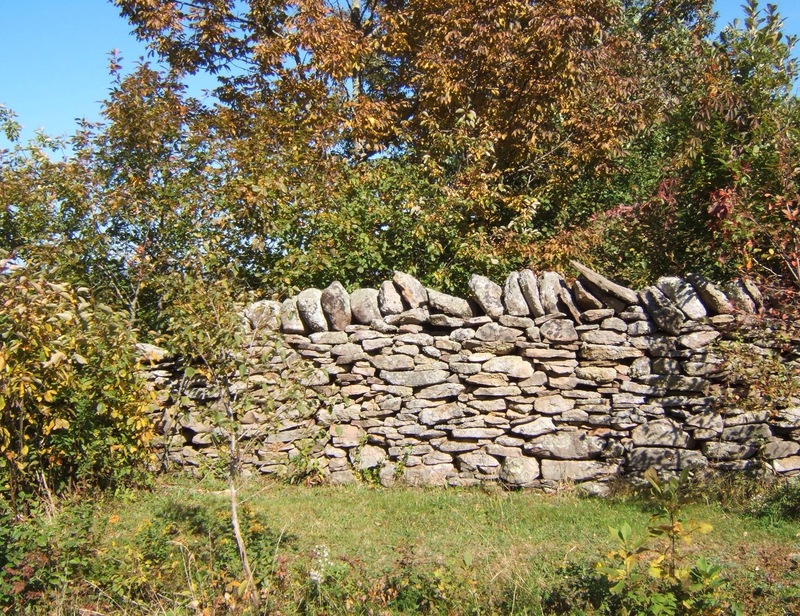 Examples include poems about trying to find an old berry field, now grown over, or how changes in a relationship can be observed over the years in the annual picking of berries. Although most of the poems are about plants, I have included production of other local foods – so a poem about beekeeping, for example, explores how two people interact during a small emergency. In other cases, the gathering of local foods is a metaphor for some aspect of a relationship, whether good and bad. At least some of these metaphors are related to the characteristics of plants or animals – for example, the serrated edges of leaves, the slipperiness of a trout, the gentle feel and fragrance of Bedstraw, or the bitterness of taste common to so many ‘salad’ greens. Some of the metaphor is based on the place where plants grow. Examples include the seclusion of many berry-picking spots, or the physical spaces created by rows of corn plants. As I look over the Table of Contents for my manuscript, I realise some poems will be stronger if placed within another theme. So I have moved, for example, a poem about picking berries over a three-week period from the theme on ‘relationships’ to a theme about ‘change’. This consideration of the themes in my poetry has given me a good start to organising the poems, and identifying gaps I have to fill. I know now there are lots of gaps, and many poems yet to write!